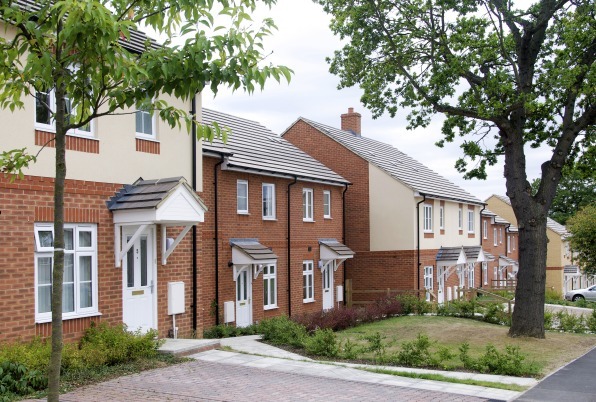 The regeneration of Rose Hill has replaced 117 run down properties with 254 new homes of different tenures. The initial outline planning application for the development was submitted by Oxford City Council (CC) and Oxford Citizens Housing Association (OCHA). The two partners then wanted to commission a residential developer to help design and build 141 affordable homes. In return the chosen developer would be given a build licence to design, build and sell 113 private homes. After a two-stage selection process, we entered into a partnership with Oxford CC and the OCHA to deliver the development. The original specification and design for the affordable homes was done by OCHA. However, once appointed, we were able to bring our professional design and commercial expertise to the project. We worked closely with our partners to ensure that the new development would be high quality as well as being practical to deliver in both build and cost terms. We formalised the decision-making process within the partnership in a Development Agreement and organised monthly meetings with our partners to keep them updated on progress. The agenda for these meetings included the transfer of land parcels to us, statutory consents and requirements, the moving and re-housing of existing residents, and build programme updates. Our relationship with both the existing residents and local community has been key to the development’s success. Throughout the planning process and the building of the development we carried out extensive community engagement, which allowed local residents to view our proposals and give us feedback. We attended three public meetings that related to the regeneration proposals, and staged two public consultation events that were well-attended. We also attended monthly Tenants and Residents Association (TARA) Meetings. At these meetings we updated OCHA tenants and the local people on the development’s progress and any health-and-safety issues. Under the terms of the Development Agreement we did not take ownership of any land at the start. Instead, as we finished building phases of affordable homes, the land for the private homes was transferred to us on a parcel-by-parcel basis. The redevelopment needed to be phased so that existing tenants could move directly into their new affordable homes, without having to move somewhere else while they were being built. Successful delivery relied on co-ordinated build and re-housing programmes, which needed all three partners to work closely together. We worked with the Housing Officer from OCHA and the tenants regarding their relocations. Tenants were given a choice when selecting both their new home and its internal finish (from a range of options). Where appropriate, the more specific needs of tenants were also met. For example, we converted the downstairs cloak room into a wet room for tenants with reduced mobility. Although the regeneration of the site was designed and managed by our in-house team, we also employed external specialist consultants to help where necessary. At the outset we had agreed which consultants we would be using with OCHA and Oxford CC and an approved list was attached to the Development Agreement. A list of pre-approved subcontractors was also agreed. All appointments, or subsequent changes to the external members of our team, had to be agreed by our partners. 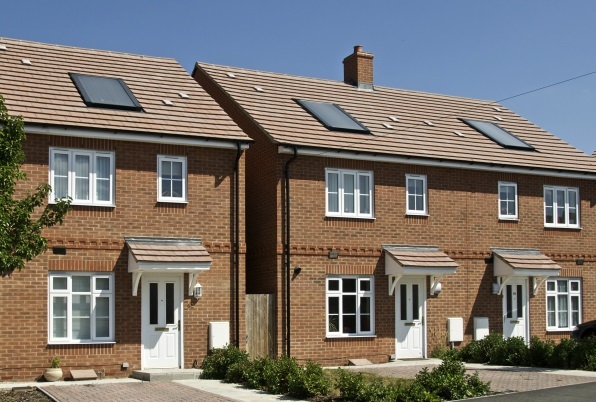 Of the 254 homes 248 have been built using timber frames and 63 meet Lifetime Homes standards, which means that they can easily be adapted to residents’ changing needs. 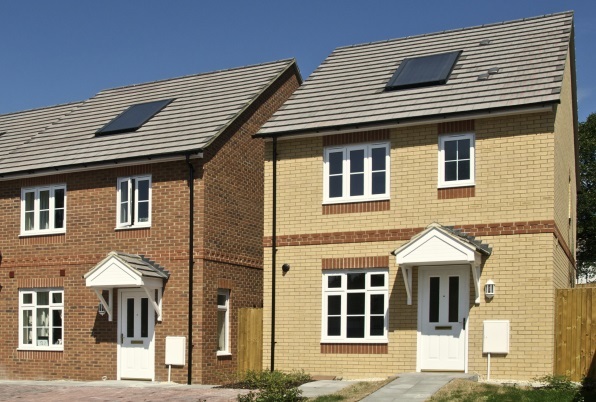 The affordable homes achieve Code for Sustainable Homes level 3 and incorporate a combination of renewable technologies. These include photovoltaic panels to the flats (which generate electricity) and solar thermal systems to houses (which generate heat), gas savers (used to improve the efficiency of boilers) and mechanical ventilation with heat recovery (used to circulate fresh air in well-insulated homes while keeping heat loss to a minimum). A specifically designed Site Waste Management Plan was implemented on site from the beginning. As a result, 100% of the demolition waste was recycled and re-used on site, for example under driveways, footpaths and compound areas. This reduced the waste we sent to land fill and the number of off-site lorry journeys. By designing the scheme around the existing road and footpath network, and by retaining and upgrading the existing service infrastructure, we have conserved resources and further reduced waste. 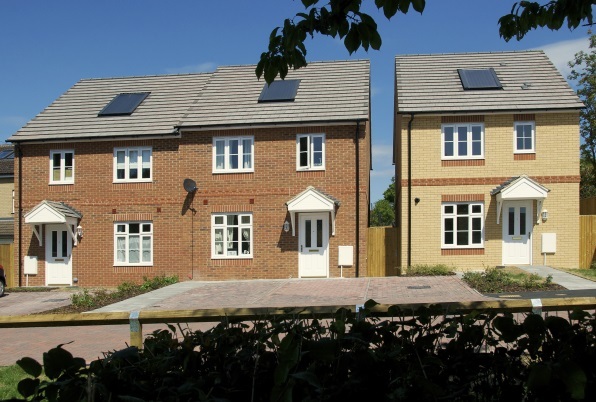 Rose Hill delivered the first housing association properties to Oxford in more than 40 years. It earned an Oxford Preservation Trust ‘New Buildings’ Award in 2011 for its thoughtful attention to detail in both design and sustainability.